This year, Macao joins the rest of the world for the first time to promote the Sustainable Gastronomy Day on 18 June. Through different channels, Macao Government Tourism Office (MGTO) shares with residents and visitors the significance and objectives that come with this international observance. In tandem with this, MGTO seizes the occasion to promote Macao’s new status as a UNESCO Creative City of Gastronomy which came last year and encourage industry operators to carry on Macao’s culinary heritage with creativity as they join hands in contributing to the sustainable development of Macao’s tourism industry and the world. Macao was designated as a new member city of UNESCO Creative Cities Network (UCCN) in the field of Gastronomy on 31 October 2017. Following that, this year marks the debut of Macao to participate in the international promotion of the Sustainable Gastronomy Day. The United Nations (UN) General Assembly adopted its resolution on 21 December 2016 to designate 18 June as an international observance, Sustainable Gastronomy Day. The decision acknowledges gastronomy as a cultural expression related to the natural and cultural diversity of the world. It also reaffirms that all cultures and civilizations are contributors and crucial enablers of sustainable development. The commitment to sustainability in gastronomy includes responsibility for the production and consumption of food and should be a shared objective throughout the gastronomy tourism value chain. In light of this, MGTO aspires to raise the awareness of industry operators, citizens and visitors about the strong relevance of sustainable gastronomy towards achieving the Sustainable Development Goals of the United Nations’ 2030 Agenda for Sustainable Development, while encouraging the travel trade to innovate and carry on Macao’s gastronomic culture in collaboration with the catering, creative and cultural sectors. MGTO has produced a promotional video for broadcast on MGTO’s website, key platforms and social networks such as Facebook, WeChat and Youtube, as well as LED screens at MGTO’s Tourist Information counters. 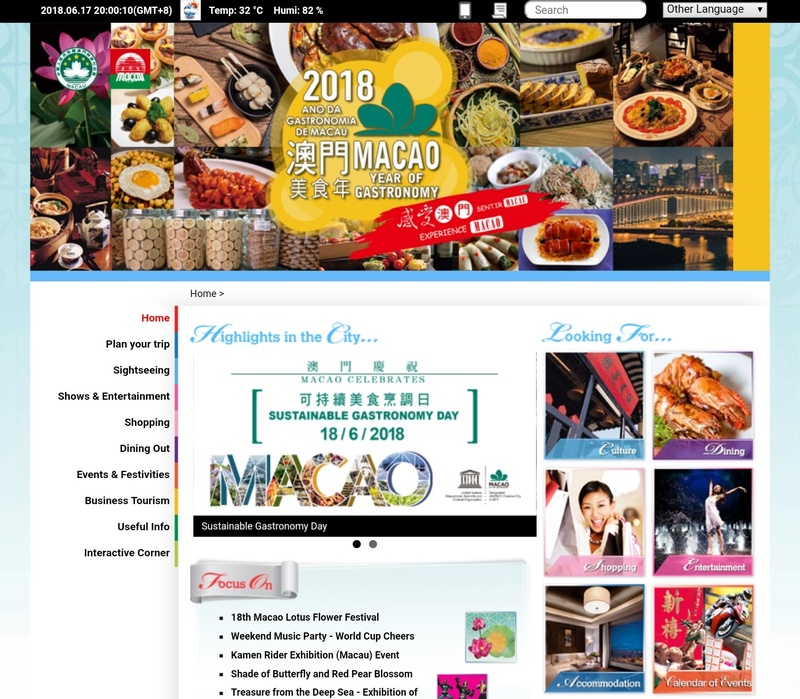 Promotional banners and links to the UN’s website for the Sustainable Gastronomy Day are also available on MGTO’s website (www.macaotourism.gov.mo), Macao Tourism Industry Net (industry.macaotourism.gov.mo) and Macao gastronomy website (www.gastronomy.gov.mo). 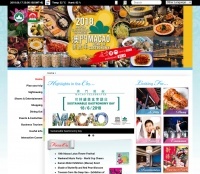 As the 2018 Macao International Dragon Boat Races is concurrently held on 18 June, the Dragon Boat Festival as a holiday in Macao, MGTO captures the opportunity given by this significant traditional festival and major event to further promote the international Sustainable Gastronomy Day among residents and visitors who come to see the Races. In September 2015, the “Transforming our World: The 2030 Agenda for Sustainable Development”, which laid out the 17 Sustainable Development Goals, was adopted at the United Nations Sustainable Development Summit. Following that, the United Nations General Assembly adopted 2017 as the International Year of Sustainable Tourism for Development in December 2015 and adopted its resolution on 21 December 2016 to designate 18 June as the internationally-observed Sustainable Gastronomy Day. Sustainable gastronomy plays the role in achieving the Sustainable Development Goals by promoting agricultural development, food security, nutrition, sustainable food production and conservation of biodiversity. For details, please visit the United Nation’s official website: http://www.un.org/en.